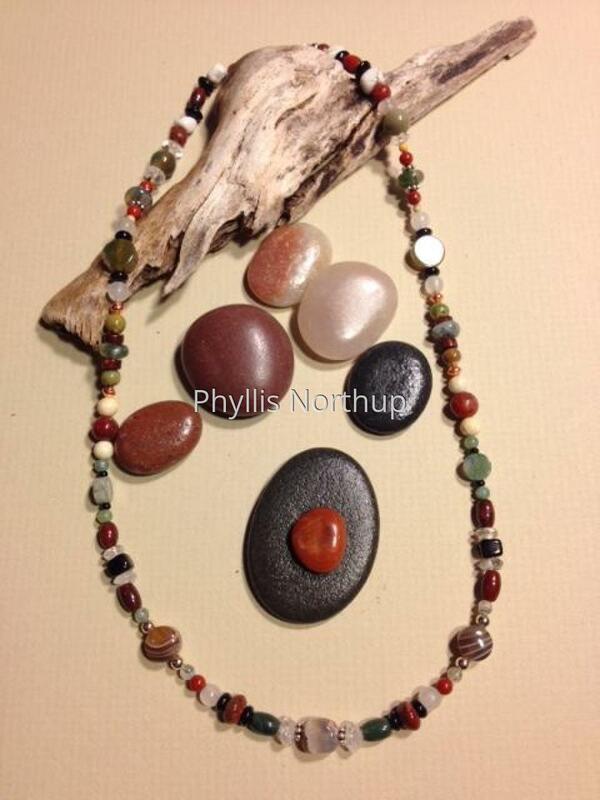 This lovely and versatile one of a kind necklace includes jaspers, agates, quartz, onyx, riverstone, and howlite with accents of sterling and copper and a sterling clasp. I always choose an extraordinary stone for the center, this one shown in the close up view. Each necklace will be similar but unique due to variations in the natural stones. Price includes shipping.